Price conscious people often prefer Convertibles because such vehicles offer them performance, luxury and high-tech features at a reasonable price in one package. Ford vehicles are known for high-end performance and its convertibles are among the most comfortable vehicles in the world. Varity of convertibles offered by Ford often confuse people-what to choose and what to drop. Following is the comparison of two most demanding convertibles of Ford i.e. 2012 Ford Shelby GT500 and 2012 Ford Mustang. Ford Shelby GT 500 is equipped with 5.4L DOHC V8 engine that produces Horsepower of 550hp and torque of 510lb-ft @ rpm of 6200 and 4250 respectively. Ford Mustang V6 Convertible is powered by 3.7L 4V Ti-VCT V6 engine; its 6-speed automatic transmission makes its favorite convertible of sport enthusiasts. Its powerful engine ranks it high among most powerful cars of 2012. Now coming towards 2012 Mustang V6 Convertible, Ford has used comfortable and soft material in its interior; instrument cluster gauges are quite stylish and conical in shape. Ambient lighting produces colors lighting effects of 7 colors. Seats are extremely comfortable and overall its interior is very spacious as well as stylish. GT 500 is a wonderful combination of stylish and performance oriented exterior features; its 19inches front aluminum (forged alloy) and 20inches rear wheels add style in its looks and allows the driver to drive a Convertible with the difference. Rear springs of this macho car are highly performance driven; exterior is further made prominent by distinctive rear shocks, back spoiler and exclusive stripes. On the other side, Mustang V6 Convertible is equally stylish and stunning; its huge front sway makes it appealing and distinctive, front and back calipers are available with friction pads. 19 inches aluminum wheels are painted and designed to offer improve road grip on every kind of road, glossy black side mirrors are added for improved styling of exterior. 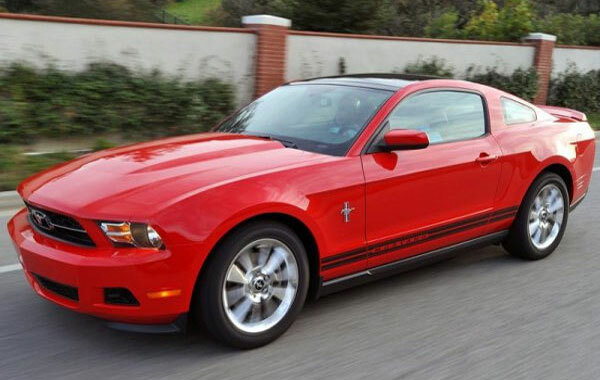 Ford Mustang has been listed among Top 5 Ford Vehicles by top most count downs. 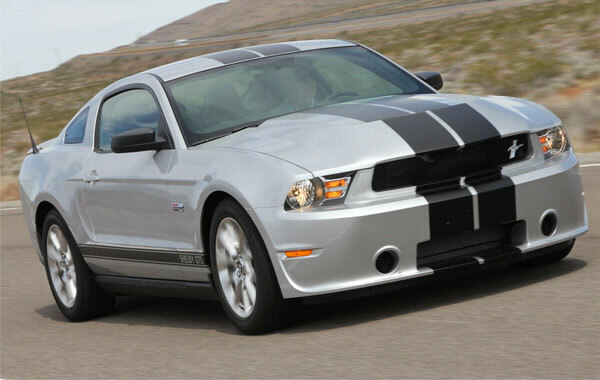 Shelby GT500 is equipped with latest high-tech features that will offer you million reasons to buy this cute convertible. SYNC AppLink will help you to make best use of your Smartphone and you will be able to control apps just by voice commands. Digital Juke Box Hard Drive that will enable you to store up-to 2,400 songs. 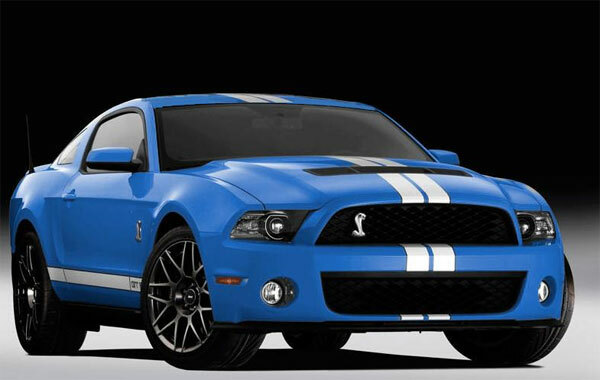 Starting MSRP of Shelby GT500 is US $48,810. 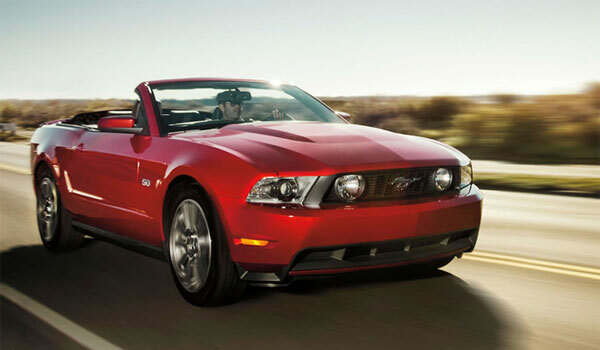 Starting MSRP of Mustang V6 Convertible is US $27,310.